Was Glen Helen Travis Pastrana’s Last Race? With Travis Pastrana talking like his motocross/supercross racing career is over (even though, officially, he is not retiring from racing), and with his badly damaged knee (take a look at his interview at Racer X Illustrated.com here) seeming to dictate this conclusion, I feel a great deal of disappointment . . . and, almost, anger. I can still picture Travis as he would wheelie through the whoops at an Outdoor National — on his way to the 125cc Outdoor title (remember his close contest with Stephane Roncada a few years ago?). The few times he raced 250 Supercross, he showed the speed to run with the leaders, and clearly would have gotten faster. All the while, Travis had a flair on the bike that had nothing to do with freestyle tricks, but everything to do with total mastery and control of the machine. So, the disappointment stems from not being able to see Travis develop to his full potential as a racer. To a dedicated fan, the subtle skills involved in racing (whether Supercross or Outdoor Motocross) are a display far more interesting to watch than freestyle motocross. Travis’ sense of etiquette and sportsmanship are also unmatched by any of the current stars (with the possible exception of Chad Reed). When Travis spoke on the victory stand, you knew he was grateful for everything he got out of the race he had just finished, whether he won or not. He would immediately congratulate any rider that beat him, and he didn’t make excuses. 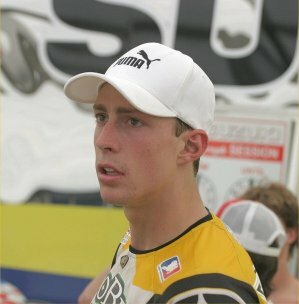 You also sensed his gratitude for the support of his fans and his sponsors in a way that you couldn’t with most riders. His is a very special personality that, coupled with almost peerless motorcycle-handling skills, quickly made him the most popular rider in the United States (and, perhaps, the world). The anger I feel stems from a sense that the sudden end to his career may have been unnecessary. 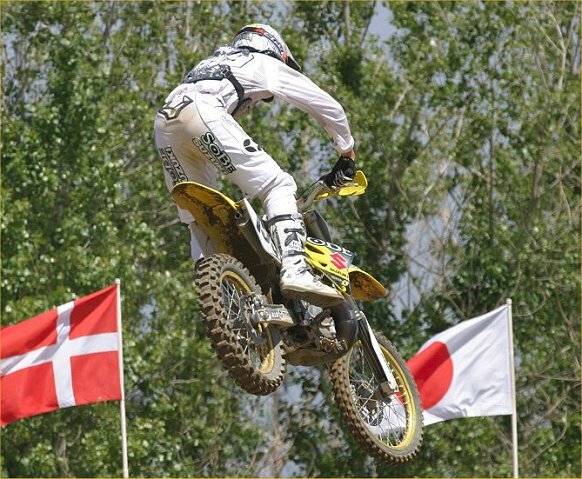 Of course, we never know, or completely understand, what goes on in the mind of another person, or how decisions were reached by the Pastrana family when Travis appeared to return to competition too quickly following a serious injury (concussions, in particular). But hindsight is 20/20, isn’t it? When Travis destroyed his knee (the same knee that is now preventing him from racing) at the X-Games (or was it the Gravity Games?) in the “Step Up” competition, I wondered then if that knee would ever stand up to a season of supercross or outdoor motocross. I guess we now know that it won’t (although, interestingly, Travis does not wear knee braces while racing, and that apparatus could conceivably extend his career). I guess the anger is really a selfish emotion. As a fan, I wanted Travis’ career to be so much more than “I came, won a single outdoor national championship, crashed way too often, and left”. I remember David Bailey saying that his favorite rider to watch was Damon Bradshaw, because Bradshaw rode with “soul”. I liked watching Bradshaw ride myself, but I liked watching Travis ride so much more.